Marvel Heroes, the action-RPG MMO based on the comic book characters from Marvel, will be no more. Marvel Entertainment and Disney confirmed to Kotaku that they had ended their relationship with developer Gazillion Entertainment. The game was free-to-play, with gameplay resembling that of the Diablo series, and allowing players to choose from a large selection of playable Marvel characters. 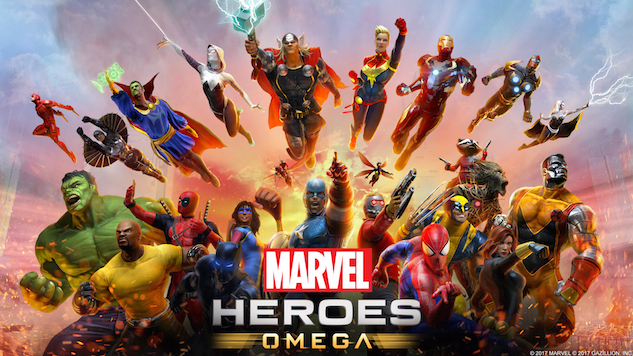 The game was first released on PC in 2013, and came to Xbox One and PlayStation 4 this past spring as Marvel Heroes Omega. The end of the road for this game appeared to be visible for quite some time, with the game missing several regular community updates and events, including a Halloween event and a Thor: Ragnarok tie-in. Current and former Gazillion employees tell Kotaku that three rounds of layoffs occurred within the game’s first year, and this week, several more employees who worked on Marvel Heroes were asked not to come to the studio’s office. [The lay-offs] would definitely not be the fault of the internal men and women who actually worked on the game itself or served the customers. [...] It was a real thing that people didn’t see their families as much as they should, or sacrificed their health to work an 80-hour week when an important patch deadline was looming [...] The patch release schedule, especially when PC was the main focus, was aggressively insane. Marvel Heroes will officially shut down at the end of the year, on Dec. 31.